Spotted these in Asda tonight. 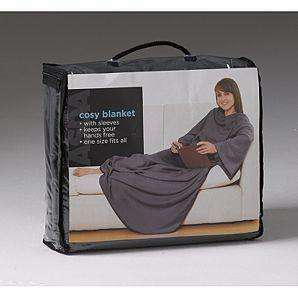 Multi use ASDA thermal blanket with sleeves. Never feel the cold again with this warm and snug blanket ideal to wear indoors whilst watching your favourite TV Shows or use it in the garden whilst watching the sun go down keeping your hands free to drink that favourite glass of wine. One size fits most. lol, JML snuggie is not even the original. The official advert... Well I wish it was! You can also buy in store..